Let the sun shine in ... almost! This is National Sun Safety Week ... a good time to think twice about how many UV rays can travel into your home through your windows. Do you really want harmful rays from the sun flooding into your home to damage carpeting, flooring and window treatments? And, what about the extra dollars you pay when you have to cool off those powerful sun rays? Try this easy fix to keep your energy bills lower and your home damage-free. 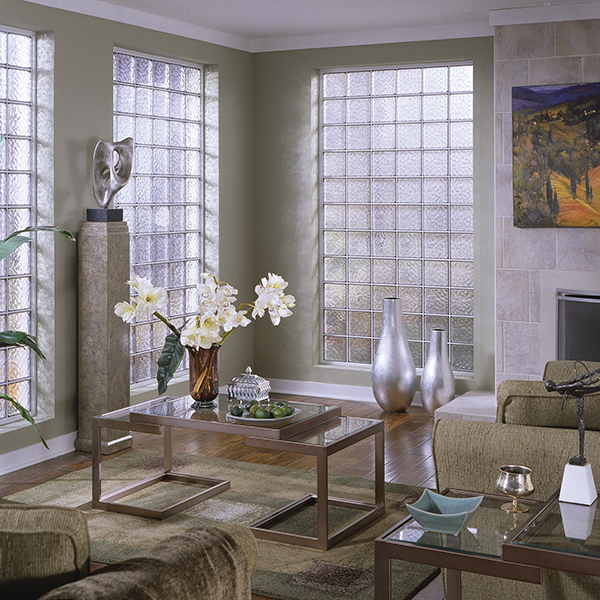 Energy efficient acrylic block windows in key areas of your home can keep Mr. Sun outside the home where he belongs! The SunBlockTM PLUS window limits the solar heat gain allowed to penetrate into your home through tinted ultraviolet (UV) inhibitors and infrared absorbers in the resin used to make the acrylic blocks. Ideal for warm climates, these windows can be used for both new construction and replacement, and come in both operable and fixed styles. The E3 Triple Glaze block window includes an extra panel of acrylic in the center of each block to help increase the insulative power of the window. Perfect for cooler climates, this block comes in a Glacier or Wave block pattern. The powerful E3 SunBlockTM PLUS windows from Hy-Lite combine the solar heat reduction of a SunBlock PLUS window with the insulative power of the E3 Triple Glaze window. Ideal for all climates, this is the most energy efficient acrylic block offered by Hy-Lite. All three of the energy efficient block options from Hy-Lite can be ordered in either 9" x 9" x 1-1/2" or 8" x 8" x 1-1/2" block sizes. The three energy efficiency options from Hy-Lite can help keep a room more comfortable during all types of exterior temperatures and assist in lowering energy bills in the home.